ABC Extra – Righteous, Dude! “Righteous!” Whenever I see this word followed by an exclamation point, I cannot help but envision a teenage Californian with long hair, decked out in board shorts, surfboard in hand, just waiting to take on the next big wave. And it’s not surprising that this is the portrait that comes to mind. After all, the word “righteous” is not exactly an integral entry in our pop-culture lexicon. 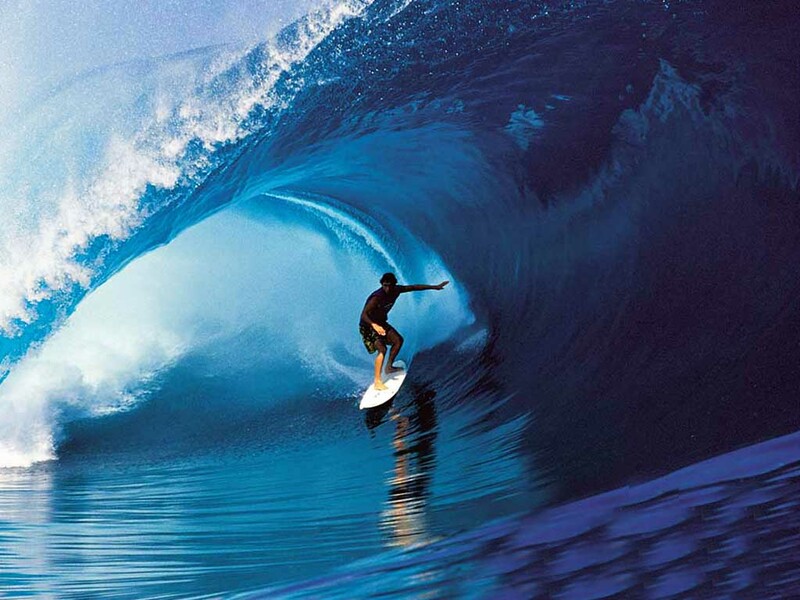 And when the term is used, it describes nothing more than a big wave. In fact, I found some of the synonyms assigned to the word “righteous” in the Urban Dictionary to be interesting: “awesome,” “amazing,” “cool,” “exciting.” All of these can certainly apply to big waves. Though the word “righteous” is not regularly used in a particularly thoughtful manner in our day and age, this word served as a foundation of theological thinking and speaking for the biblical writers. For it was used to describe the very character of God: “The LORD is righteous; He has cut me free from the cords of the wicked” (Psalm 129:4). It is interesting to note how the Psalmist connects the righteousness of God to the defeat of wickedness. In the Bible, righteousness and wickedness are inimical. Thus, righteousness is more than just something that is “awesome” or “cool,” it is, in a phrase, that which is wholly right while actively opposing that which is wrong. It is important to understand that Habakkuk’s objection to God and conception of righteousness is not entirely unfounded. Righteousness can be and is defined in such a way to include the works the one does. Indeed, the Lutheran Confessions even speak of a “righteousness of works”: “The human will…can to a certain extent render civil righteousness or the righteousness of works; it can speak of God, offer to God a certain service by an outward work, obey magistrates, parents; in the choice of an outward work it can restrain the hands from murder, from adultery, from theft” (Ap XVIII:40). This “righteousness of works,” however, as helpful as it might be to keep society in order and provide for its ongoing tranquility, counts for nothing in the sight of God. Isaiah accurately estimates the value of this kind of righteousness before God when he writes, “All our righteous acts are like filthy rags” (Isaiah 64:6). God’s primary concern is not how righteous we are in the world’s sight, but how righteous we are in His sight. And righteousness in God’s sight can only be attained by faith in Christ. As the Lutheran Confessions state: “The imputation of the righteousness of the Gospel is from the promise; therefore it is always received by faith, and it always must be regarded certain that by faith we are, for Christ’s sake, accounted righteous” (Ap IV:42-43). Because we are accounted righteous “for Christ’s sake,” we cannot consider anyone better or worse, holier or wicked-er, in the sight of God. For Christ’s righteousness is indiscriminately and freely applied to all who have faith. And because Christ’s righteousness is whole and complete, everyone who receives His righteousness is also whole and complete. There is no difference between those justified in Christ. That is why, to obtain true righteousness, only one thing will do – faith! ABC Extra – Why Do Good Things Happen To Bad People? The other day I participated in an internet poll. The question asked was, “Do you consider yourself to be a good person?” There were three options: “Yes,” “No,” and “It’s not black and white.” The results of this poll? 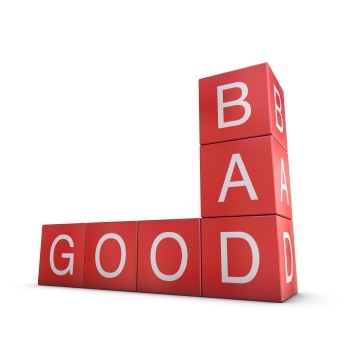 The vast majority of people – a little under two-thirds – responded that they did consider themselves to be good. Another one-third of the respondents answered that such a question is not black and white. Finally, two people claimed they were not good. And one of the two was me. Last week in my personal Bible reading, I read a seemingly simple and straightforward passage that gripped me: “Lot looked up and saw that the whole plain of the Jordan was well watered, like the garden of the LORD, like the land of Egypt, toward Zoar. This was before the LORD destroyed Sodom and Gomorrah” (Genesis 13:10). In Genesis 13, Abraham and his nephew Lot are on their way up from Egypt to start over and settle in a new place. As they reach the Negeb, they arrive at a pinnacle from which they can see two lands – one to the east which looks well-watered and lush and one to the west which looks arid and barren. Abraham, in an act of stunning generosity, allows his little nephew to pick which of the two lands he would like for himself. Logically, Lot picks the lush land, leaving his uncle with the barren pit. But as Lot is picking the lush land, we find out that this land is home to two infamous cities – Sodom and Gomorrah. Before God destroys these twin cities of iniquity with fire and brimstone, however, they are apparently situated on a verdant plain. But why? Why would God bless such evil cities with such lush landscapes? For these cities cannot be considered “good” by any estimation! Even people who call themselves “good” would probably say that the residents of these cities were “bad”! There is a foundational truth that undergirds all of God’s blessings: God’s blessings come not because humans are worthy to receive them, but because God is gracious to give them. Sodom and Gomorrah certainly did not deserve the land and bounty they enjoyed. But out of His grace, God blessed them in spite of their wickedness. And we must remember and recognize that God does the same thing with us. The blessings we have are not the result of our worthiness, but a testimony to God’s graciousness. As Jesus Himself says, “The Father causes His sun to rise on the evil and the good, and sends rain on the righteous and the unrighteous” (Matthew 5:45). More than once, I have been asked, usually after a heartbreaking tragedy has struck a seemingly great person, “Why do bad things happen to good people?” Though it is important to affirm the sadness of tragedy and mourn with those who mourn (cf. Romans 12:15), it is also important to understand that such a question has embedded in it a faulty premise. There are no “good” people, at least not in the biblical sense. Though people, when asked if they are good, may consider themselves as such, the Bible paints an entirely different picture of human holiness. Paul explains, “As for you, you were dead in your transgressions and sins…gratifying the cravings of our sinful nature and following its desires and thoughts…We were by nature objects of wrath” (Ephesians 2:1, 3). “By nature,” Paul says, “we are sinners. By nature, we are bad. And because of our badness, by nature, we deserve not God’s blessings, but God’s wrath.” The question, then, is not, “Why do bad things happen to good people?” but “Why do good things happen to bad people?” For we, like Sodom and Gomorrah, deserve not the verdant plains of God’s blessings, but the barren desert of God’s wrath at our sin. So why does God give us good things even though we are bad? He gives us good things because of His grace. So praise God for His blessings to you today! For you do not deserve them. But God has given them to you anyway. “Many are the plans in a man’s heart, but it is the LORD’s purpose the prevails” (Proverbs 19:21). 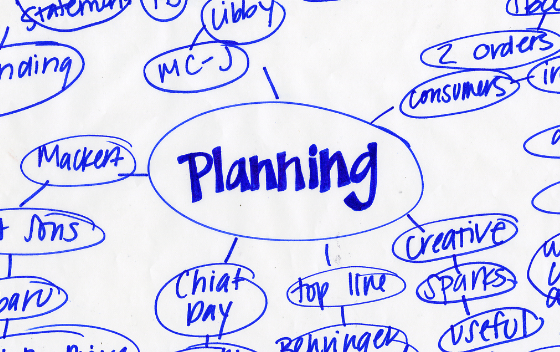 In Hebrew, the word for “plans” is machashabah, a word that describes the inventions of man. In Exodus 31, God sets apart certain Israelites to be the craftsmen of the country. God says, “See, I have chosen Bezalel son of Uri, the son of Hur, of the tribe of Judah, and I have filled him with the Spirit of God, with skill, ability and knowledge in all kinds of crafts – to make artistic designs for work in gold, silver and bronze, to cut and set stones, to work in wood, and to engage in all kinds of craftsmanship” (Exodus 31:2-5). The Hebrew word for “make” in verse 4 is machashabah. Bezalel is called by God to be an inventor, or a crafter, of art. Man loves to invent. Indeed, some of our society’s biggest technological and medical breakthroughs are thanks to irrepressible human ingenuity. But not only does man love to invent things, he also loves to invent plans for his future. He plans where he will live, how much money he will make, what kind of car he will drive, and what kind of success he will achieve. But man’s invented plans cannot stand against God’s eternal purpose. The Psalmist warns, “The LORD knows the thoughts of man; He knows that they are futile” (Psalm 94:11). The Hebrew word for “thoughts” is again machashabah. Man’s plans, no matter how grand, are futile if they do not comport to God’s purpose. In Luke 12, Jesus tells the story of a farmer who takes in a bumper crop. In fact, his crop is so big that he doesn’t have room for his bounty, and so he has to build more grain silos to store all he has grown. And then, with his grain safely stored, he begins to make plans. He says to himself, “You have plenty of good things laid up for many years. Take life easy; eat, drink and be merry” (Luke 12:19). But the rich man’s fleeting and foolish plans are no match for the finality of death. God appears to his man and says to him, “You fool! This very night your life will be demanded from you. Then who will get what you have prepared for yourself” (Luke 12:20)? This man invented many plans. But they all fell apart. During Easter at Concordia, we began a series titled “Living on Purpose” where we are discussing and discovering God’s eternal purpose as expressed in His Son, Jesus Christ. All too often, however, we confuse our plans with God’s purpose. It is against this mistake that Proverbs 19:21 warns. You can plan all you want. But you can’t thwart God’s purpose. Just ask the devil. His plan of sin could not thwart God’s purpose of salvation through the cross of Christ. What are you planning? It’s great to plan, but your plans should never be at odds with God’s purpose. Why? Because God’s purpose for us is good and loving. The apostle Paul reflects on God’s purpose for us when he writes, “God has saved us and called us to a holy life – not because of anything we have done but because of His own purpose and grace” (2 Timothy 1:9). God’s purpose is our salvation. And in comparison to purpose as transcendent as this, my plans seem only measly. His purpose is greater than my plans. Praise be to God! Resurrection, It Does a Body Good! In his book, The Historical Jesus, John Dominic Crossan says of Jesus’ resurrection, “Nobody knew what had happened to Jesus’ body.” Crossan is well known for asserting that Jesus’ resurrection was not a bodily resurrection, but a series of mystical visions experienced by and subsequently promoted by early Christians. As for the fate of Jesus’ body after death, Crossan believes it was thrown in a shallow grave where it was quickly scavenged by wild animals. And Crossan is not alone in his belief. 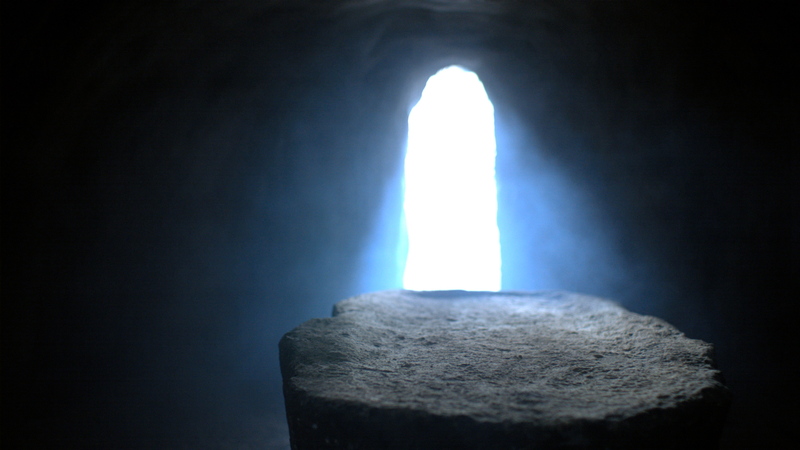 Incredulous at the notion that a dead person can physically rise, many post-Enlightenment thinkers and theologians will speak of Christ’s resurrection as one that took place merely in the minds or hearts of His earliest followers. Paul’s argues that Christ’s bodily resurrection is the first resurrection in a long line of bodily resurrections that will come on the Last Day. The bodies of believers, once perishable, will be raised imperishable. The bodies of believers, born into the dishonor of sin, will be raised into the glory of perfection. The bodies of believers, formerly weakened by the Fall, will be raised in eternal power. The resurrection, Paul says, is bodily. And not just Christ’s resurrection is bodily, our resurrections are too. Jesus will not have His resurrection mistaken by His disciples for a measly apparition. This is why He invites His disciples to look at and touch His hands and His feat. This is why He eats a piece of fish. Jesus has risen bodily. So why is this even important? Why make such hay out of whether or not Jesus rose bodily? Three reasons come to mind. First, the bodily resurrection of Christ is the linchpin of our faith. To deny this is to lose everything. As the apostle Paul writes, “If Christ has not been raised, your faith is futile; you are still in your sins” (1 Corinthians 15:17). To deny the resurrection of Christ is to deny all of Christ and His work. There can be no compromise on His resurrection. Second, the bodily resurrection of Christ affirms the goodness of God’s creation. God created bodies. And He cares about bodies. Christ’s resurrection is proof of this. For God could not stand by to see His Son’s body wrecked and ruined by a cross. And God will not stand by to see our bodies and wrecked and ruined by sin. And this leads to the third reason Jesus’ bodily resurrection is so important. The bodily resurrection of Christ is a promise our bodily resurrections on the Last Day. The fact of the matter is this: our God is just getting going when it comes to resurrections. One day, graves will be emptied, death will be defeated, and the redeemed of the Lord will cry, “Where, O death, is your victory? Where, O death, is your sting” (1 Corinthians 15:55). What a glorious day this will be. And this is why I believe in the resurrection of Jesus’ body and in the resurrection of mine. For such a resurrection is the hope and promise of life everlasting. John Dominic Crossan, The Historical Jesus (San Francisco: HarperSanFrancisco, 1991), 394. John Dominic Crossan, Jesus: A Revolutionary Biography (San Francisco, HarperSanFrancisco, 1994), 160. Every year, I receive many questions concerning the significance of Holy Week. Because Holy Week began yesterday, I want to share with you a brief overview I wrote a couple of years ago covering the biblical basis, historical underpinnings, and common customs of this most sacred time of year. May God bless you this week as you commemorate and celebrate Christ’s life, death, and ultimate, triumphant resurrection! In retail, it’s the month between Thanksgiving and Christmas. In college basketball, it’s the month of March. For the IRS, it’s April 15. We all have months, days, and moments which are especially poignant to us and fill our hearts with anticipation and excitement. For Christians, Holy Week is just such a time. “Holy Week” is a term used to denote the final week of Jesus’ life. It holds a special place in a Christian’s heart, especially since the New Testament gospels – Matthew, Mark, Luke, and John – devote more than one-third of their pages to this single week. Indeed, the gospels have sometimes been called “Passion stories with introductions.” Their focus is unmistakably on Jesus’ final week of life. Holy Week began to occupy a prominent place in the Church’s life very early in history. The Apostolic Constitutions (a fourth century manual of church practice for pastors and bishops) calls Holy Week the “Great Week” and calls on Christians “to fast these six days” in memory of Christ’s sufferings. The six days referred to here are Monday through Saturday of Holy Week. Holy Week is highlighted by four high holy days: Palm Sunday, Maundy Thursday, Good Friday, and Easter Sunday. The Monday, Tuesday, and Saturday of Holy Week, though churches sometimes hold worship services on these days, are relatively minor in comparison to the others. Because of their significance in the life of Jesus, it is well worth it to consider each of the high holy days of this sacred week. The crowds of Palm Sunday may have loved Jesus, but the members of the religious establishment hated Him. Already on Palm Sunday, the religious leaders were plotting how they might silence Jesus. When they saw the palms and heard the crowds, they sniveled: “See, this is getting us nowhere. Look how the whole world has gone after Him” (John 12:19)! On Maundy Thursday, churches throughout the world share Communion as a way of both remembering Jesus’ final meal with His disciples and solemnly rejoicing in how Christ comes to us modern-day disciples with His body and blood in, with, and under simple bread and wine for the forgiveness of our sins. As Jesus washed His disciples feet, some churches also include a foot-washing rite in their Maundy Thursday services as a reminder that our Lord “did not come to be served, but to serve, and to give His life as a ransom for many” (Mark 10:45). As Jesus has shown us love through His service to us and through the sharing of His body and blood with us, we are to show God’s love to others, even as Jesus commands shortly after He washes His disciples’ feet: “A new command I give you: Love one another. As I have loved you, so you must love one another” (John 13:34). The Latin word for “command” is mandatum, from which the name “Maundy Thursday” is derived. Thus, Maundy Thursday is a day of love – the love that Christ has for us and the love in Christ that we have for each other. The apostle Paul wrote, “For I resolved to know nothing while I was with you except Jesus Christ and Him crucified” (1 Corinthians 2:2). Paul says that Christ and His cross is the very center of the Christian message. Good Friday, then, the day on which Christ hung on a cross, is a most sacred day. Because Good Friday is both sacred and solemn, it is traditionally a day of reflection. It is called “Good Friday” not because the suffering, scourging, ridiculing, and death which Christ endured was “good” in and of itself. These things were carried out by evil men. Rather, Good Friday is called “good” because of what these terrible things accomplished – the forgiveness of our sins. As Paul writes, “In Christ we have redemption through His blood, the forgiveness of sins” (Ephesians 1:7). Good Friday worship services take several forms. A popular late-medieval devotion known as the Way of the Cross has fourteen stations in which the events of Christ’s Passion are acted out in the streets of local communities. Worshippers proceed from one station to the next and remember Christ’s sacrifice for them. In the seventeenth century, a service spanning from noon to 3 pm, the hours during which Jesus was on the cross, became popular. This service usually focuses on the so-called “seven last words” of Jesus and includes devotions on each word. Then, in an evening service called Tenebrae, a Latin word meaning “shadows,” worshippers quietly reflect as candles are extinguished and lights are lowered over the course of the service until the sanctuary is completely blackened in remembrance of the dark day of Jesus’ death. As somber a day as Good Friday is, it is not without a glimmer of hope. For we know that the darkness of evil and even death cannot overcome the light of hope that Christ has come to bring (cf. John 1:5). Luke captures the excitement and unexpectedness of the scene. The women, finding Jesus’ tomb empty, wonder what could have happened. Even though Jesus had foretold His resurrection on multiple occasions (cf. Luke 9:22, 13:32, 18:33, 24:7), the idea that a man could rise from the dead was so over-the-top, the women failed to call to mind our Lord’s words. Indeed, they thought His body had been stolen (cf. John 20:15). But then a question from two men dressed in white snaps their attention to the reality of what has happened: “Why do you look for the living among the dead?” The angels accuse the women of being walking oxymorons. Looking for the living among the dead? That’s like writing an obituary instead of a birth announcement when you have a healthy, happy child. That’s like taking your spouse to divorce court on your wedding day. It makes no sense! Paul is crystal clear in his estimation of Christ’s resurrection. It is “of first importance.” It is so important, that if it is not true, all of Christianity is a ruse and we have no hope for eternity. Thus, on Easter, the Church both defends the historicity of Christ’s resurrection and celebrates its significance. For Christ’s resurrection is an historical guarantee of the promise that when Christ returns, we too will rise from the dead to share in eternity with our Lord. 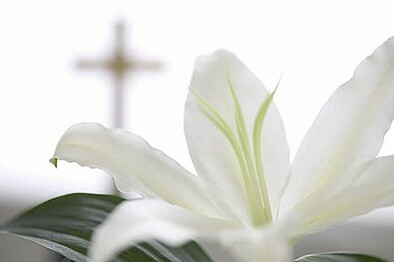 The Church, over the centuries, has gloriously celebrated Easter. Many churches hold “Easter sunrise services” commonly beginning shortly before sunrise at approximately the time the women would have come to Christ’s empty tomb. Although not practiced by the early church, a tradition developed called an “Easter Vigil service.” This service takes place Saturday night and anticipates the coming resurrection of Christ. Traditionally, the worship services for Easter are the largest and loudest of the year. This is surely appropriate. For “Christ has indeed been raised from the dead, the firstfruits of those who have fallen asleep…So in Christ all will be made alive” (1 Corinthians 15:20, 22). Christ’s resurrection is the hope of our resurrections! For more on the Easter Vigil, see Luther Reed, The Lutheran Liturgy (Philadelphia: Muhlenberg Press, 1947) 462-463.